When searching for a removal company for your move from London to Norwich, it is important to think about quality of service, affordability and accommodation. Moving a house or an office is a daunting task, and the job may require packing support, removal assistance and man and van service. Moving large or bulky boxes down tight corridors or steep stairwells can be dangerous, and it is always best to hire a professional moving service to execute these tasks. When moving, there are a number of different arrangements you may have to make, from contacting electric companies to donating used clothes. That is why it is important that your removal company will work around your needs, so that you are not inconvenienced. A professional moving company like Moving Service can create a schedule that works around your own busy schedule. We will talk with you about each step in the process and work to find a time to move that works for you. Because moving a house or office is a larger service, prices can get expensive, so it is important to be aware of these rates. When you move with us, with provide you with a free estimate over the phone, so you know exactly what we are charging for. Call us at 020 8746 4402 to talk with us about our customized service options. 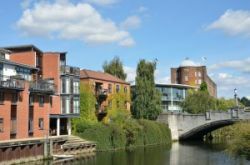 Norwich is a city on the River Wensum in the county town of Norfolk on the east coast of England. Norwich was one of the largest and most important cities in England before the industrial revolution. It has a population of nearly 200,000 people and is one of the most densely populated districts within England. Norwich was originally a Roman settlement as evidence suggests they set up their regional capital 5 miles south of Norwich. After the Roman settlement collapsed, an Anglo-Saxon community settled into the region. The Norwich Cathedral, one of the town’s major landmarks, was built around 1140. During the 1800′s, Norwich developed as a major industrial area, with manufacturing industries for shoes, clothing, chocolate and aircraft design. It was home to a major printer and publisher, known as Jerrold’s and has a rich brewing tradition and industry. 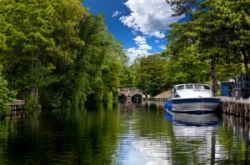 Today, Norwich is a predominately service based economy and leisure activities generate a significant amount of revenue. The Norwich Research Park is located in the region, which consists of a community of research organizations that do world-leading science research. Norwich is also home to an ancient market place that was established in 1070 and still continues today. Its major landmarks are the market and the Norwich Castle. It also has numerous sports clubs and teams including the Norwich City Football Club and Norwich united. If you are looking for a professional moving company, call Moving Service today at 020 8746 4402. We supply a number of services to support your home or office move. We provide packing and organizing assistance. When packing your fragile kitchenware or china, it is important they are packed safely so they are not damaged during the transportation process. Our professional man and van staff know exactly how to pack your fragile or bulky belongings so they are not damaged during transport. We can also easily move larger items through corridors with ease, and carefully arrange them in the moving vehicle. During the unloading process, we will not only unload your belongings carefully into your new residence, but we will also help you assemble furniture or other large items in your new home. We will do all the arranging for you, so you can get situated comfortably in your new home. So call our domestic and office removal service get started with your domestic move to Norwich today.